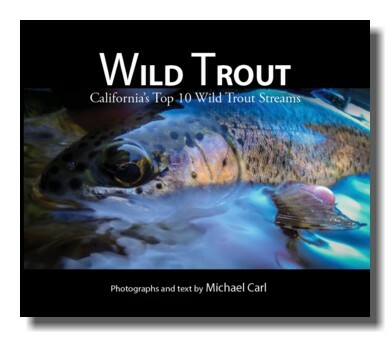 The Upper Kings River is featured in the new ebook, Wild Trout. From Fresno Drive east from highway 99 onto highway 180 in Fresno. After 18 miles you reach Centerville; turn left on Trimmer Springs Road. Continue past the small town of Piedra, and up the hill to Pine Flat Reservior. Wind 30 slow miles around the north side of Pine Flat Reservoir. Kirch Flat Campground is shortly upstream of the point where you reach the river. The Kings River has carved one of the deepest canyons in North America, as it flows westward from the crest of the Sierra Nevada, dropping more than 13,000 feet to the upper limit of Pine Flat reservoir. The combination of excellent water quality, undisturbed shorelines provides some of the best wild trout angling in the Central Sierras. Congress added much of the Kings River and its upstream tributaries to the National Wild & Scenic Rivers System in 1987. 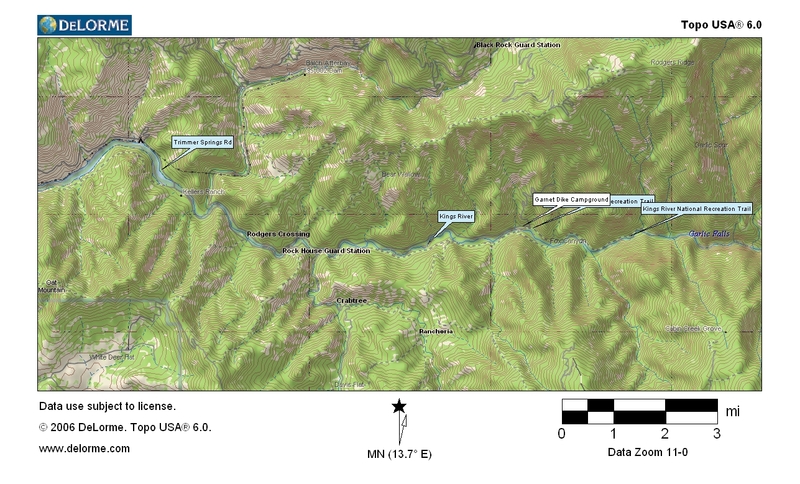 It did not formally designate the lower 12 miles of the river directly upstream of the existing Pine Flat reservoir, leaving the door open for potential future construction of the proposed Rogers Crossing dam. This rugged river canyon supports a variety of plant communities, including mixed conifer forests, oak woodlands and grasslands, and chaparral. The diverse landscape provides habitat for many animal species, including mule deer, wolverine, bald and golden eagles, and California spotted owl. Fish biologists consider the Kings River to be one of the finest wild rainbow trout fisheries in the state. Most of the Kings River within the Sequoia National Forest and Monument is managed by the California Department of Fish and Game as a Wild Trout Fishery. Regulations pertaining to this Wild Trout Fishery apply to approximately 18 miles of the Kings River. 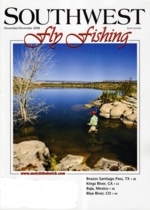 The Wild Trout Fishery extends upstream from Pine Flat Reservoir to the confluence of the Middle and South Forks of the river. 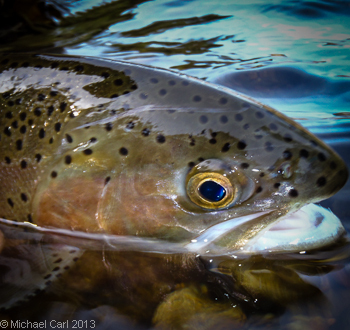 Guidelines established by the California Fish and Game commission for a Wild Trout Fishery are that designated wild trout waters should provide a quality experience by the providing the angler with an opportunity to fish in aesthetically pleasing and environmental productive waters with trout populations whose numbers or sizes are largely unaffected by the angling process. My recent experience fishing about Garnet Dike suggests the folks at C.D.F.G got this one right. The South Fork of the Kings River, from the Highway 180 crossing at Boyden Cave downstream to the main stem; the Middle Fork, from the western boundary of Kings Canyon National Park downstream to the main stem; and main stem, from the confluence of the South and Middle forks downstream to Garnet Dike Campground are open all year to fishing. 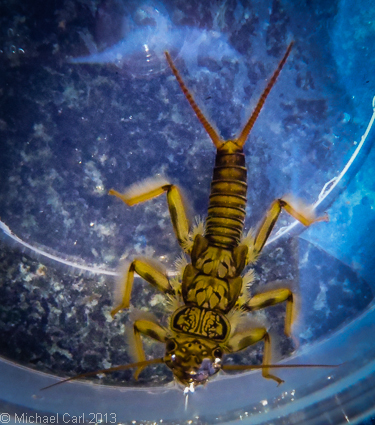 Only artificial lures with barbless hooks may be used. Catch and release only. The Kings River, from Garnet Dike Campground downstream to Pine Flat Lake is open all year and allows a 2 fish per day limit.